As you might know, Monstroid is the first multipurpose WordPress Theme built with Cherry Framework 4. The theme is released by TemplateMonster, and now the company is going to give away 5 Monstroid Licenses. Hurry up and grab yours! 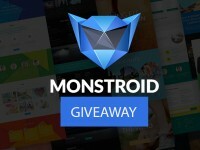 Monstroid has reached more than 4,000 downloads, and still remains one of the most popular WordPress themes that we've ever seen. So, we bet that enriching your collection of WP themes with this "monster" would be a clever move, especially taking into account that you can now get it at no cost. In one of our earlier posts we spoke about Monstroid and its characteristics. In order to refresh your memory about its key specs, we will review them briefly below. Monstroid is a multi-purpose WordPress theme that can be used for blogs, portfolios, personal and business pages as well as eCommerce sites. The theme's pack comes loaded with all the functionality that you will need for all of these purposes. On top of that, it includes 100+ layered PSD files and pre-designed custom page templates, which are ready to go out of the box. Monstroid is a big parent theme, which entitles its owners to free access to the ever-growing collection of child templates. At the moment, you can choose from more than 40 Monstroid child themes. One of the best things about this feature is that all chid themes are stored on a cloud and can be accessed directly from the Monstroid dashboard. Monstroid is WooCommerce ready. A selection of pre-designed product pages and eCommerce plugins were pre-loaded into the theme's package. Just grab any, tweak the design if you wish, replace the default content with your own data, and get ready to bring your online store to life. Immense number of plugins. In addition to a series of Cherry Framework 4 plugins, Monstroid includes such premium options as MotoPress Slider, MotoPress Content Editor, White label plugin and others. On top of that, Monstroid includes a variety of unique features that were custom-made for the theme (like Installation Wizard, Shortcode Template Editor, Static Area Builder, Skin Switcher, CSS Compile/Minify, and so many more). Monstroid comes with free 24/7 support and lifetime updates. 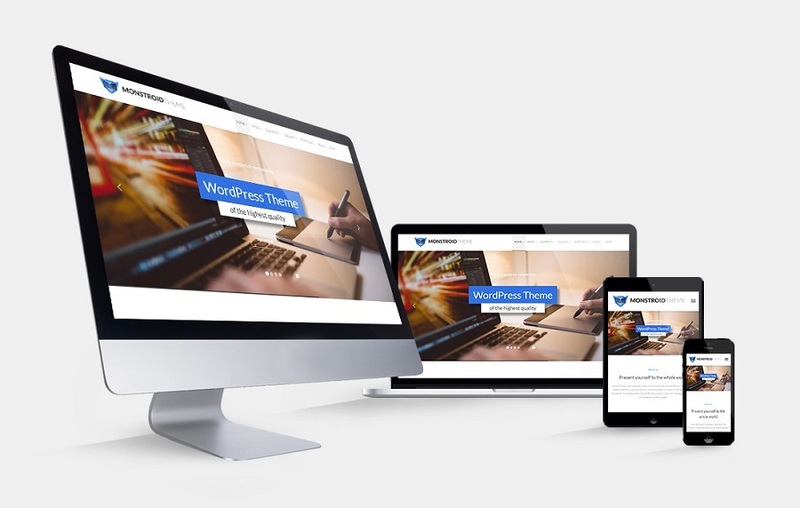 Intended for WordPress beginners and professional developers, this WordPress theme is super easy to install and customize. Almost all of its features can be managed automatically or manually. As the theme's owner, you are the only one to decide which options to choose. Visit templatemonster.com and get a closer look at Monstroid. You can either view Monstroid details or its live demo. Choose the Monstroid feature that you like most and leave a comment below this post explaining why it’s your favorite feature. Basically, that's all. When leaving a comment, make sure that you provide a valid email address (it will only be used to send you a prize in case of winning). Otherwise we won't be able to reach you. The giveaway will be running through one week - from May 31 to June 7, 2016. There will be 5 winners of the giveaway. Each of them will be given 1 Monstroid license. And of course, each winner can use his/her prize for any purpose - to build a personal blog, a portfolio site, a corporate site, a web shop or whatever website he needs.